How is Maruti Suzuki changing its strategy to get more customers? In our 35-year journey here, our goal has been to provide good cars to customers at affordable prices. Indian demand is changing — customers now look forward to new technologies and vehicles. We have to work on these areas. Half of car buyers are still not our customers. Maruti Suzuki is focusing on the use of digital technology at showrooms to give buyers a better purchase experience. How can such a strategy work in rural markets? We cannot make big showrooms in small markets and display all the cars. We can use digital to make the customer familiar with the product and help them make a purchase decision. Does the high GST rate on hybrid vehicles trigger a re-look at the hybrid plans? Hybrid is part of the road to electric vehicles and a solution for our environmental problems. You cannot suddenly bring electric vehicles ; we will continue to sell hybrid ones. But, we need more communication with the government. Unfortunately, we had not had time, since we were busy with GST implementation. We have tried to localise batteries and motors here for hybrid cars. Once localisation happens, the electric vehicle can also become affordable. How prepared is Maruti Suzuki to roll out electric vehicles? Electric technology is there with (Japanese parent) Suzuki. There is a lack of good and affordable electric solutions; low cost is not easy to find. We need charging points for electric vehicles. We have to review these practical problems. We need a road map for the future. You can import cars from a company like Tesla but people are not looking for such options. People expect an affordable vehicle; else, they will not opt for it. They look to buy electric cars in a price range of Rs 5-10 lakh. We have to study options in this range. At this moment, a limited solution is available. 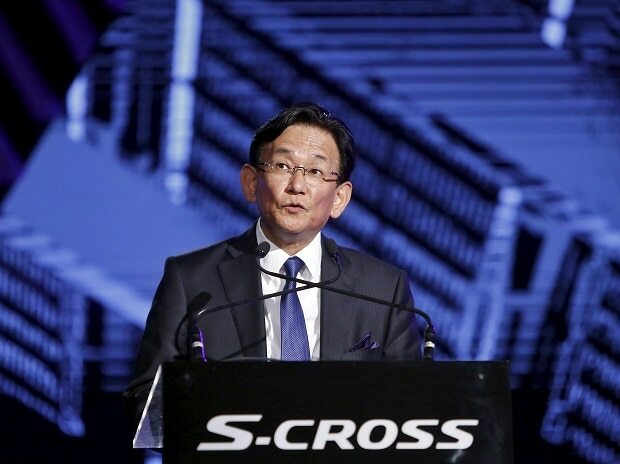 How is Suzuki's collaboration with Toyota progressing? The collaboration is in the areas of information technology, environment-friendly technology and safety for future products. I understand the collaboration has started at the global level. We need such technologies for future development of products. Toyota is a leader in hybrid technology and we will work with them. Did the company face any teething problems with GST implementation? It has been only 10 days. We are trying to get information from dealers and suppliers. At this moment, we have not heard of any serious issues. GST will bring a positive change to the economy. How do you see the future of shared mobility in India? We are providing products to Ola and Uber. We have seen increasing numbers but I know they are facing some difficulties. Whether Indian customers accept this concept of business or not is a different story. I find it is an excellent product but there are different regulations for them.